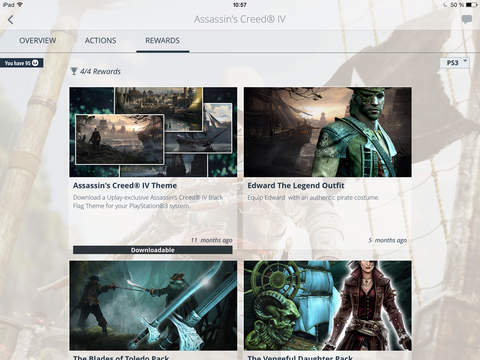 Get exclusive Uplay rewards just by playing the games you love. 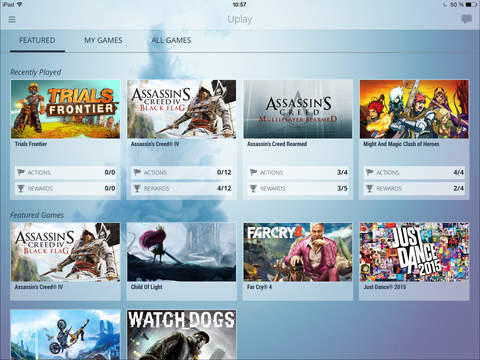 Simply play your favorite Ubisoft games to earn Uplay units that you can exchange for extra weapons, vehicles, equipment, soundtracks, new characters, additional maps and more! 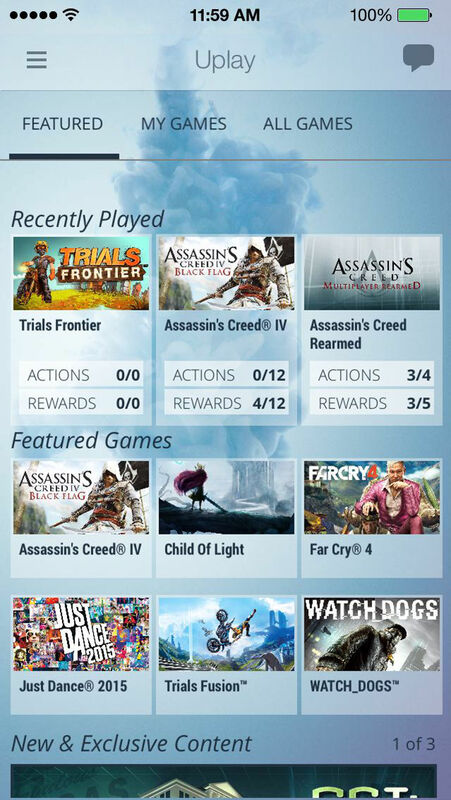 Keep track of your Uplay Progression for all your favorite Ubisoft games from the convenience of your phone or tablet. Browse your personal games collection or view the complete list of games to find something new and exciting to play! Keep the latest news at your fingertips. 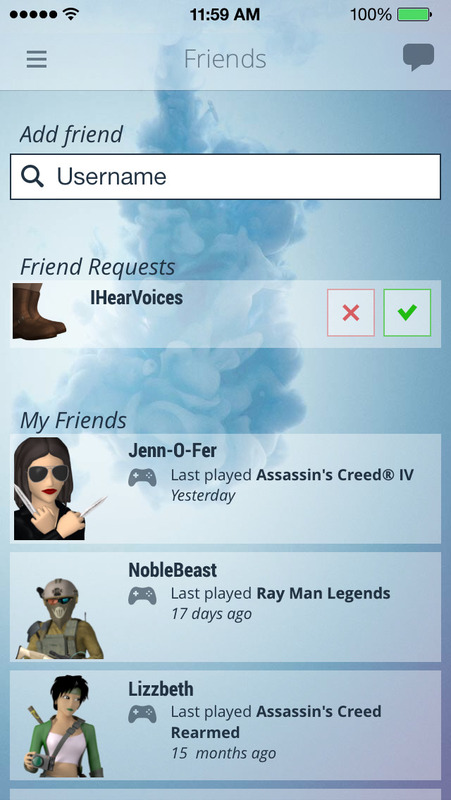 In app social feeds make it easy to stay connected to the Ubisoft gaming world. Stay up to date on the biggest events in the gaming world like E3 and Gamescom or even enter to win your own all expenses paid trip to join Uplay for the all the fun on the ground floor! ©2009 Ubisoft Entertainment. All rights reserved. Uplay logo, Ubisoft, Ubi.com, and the Ubisoft logo are trademarks of Ubisoft Entertainment in the U.S. and/or other countries.